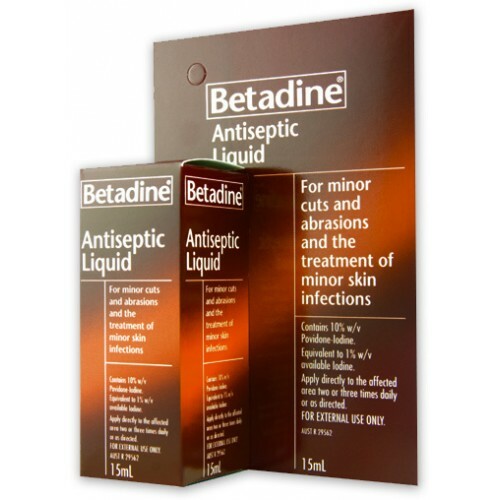 Betadine Antiseptic Liquid rapidly kills all bacteria and fungi commonly responsible for wound and skin infections. 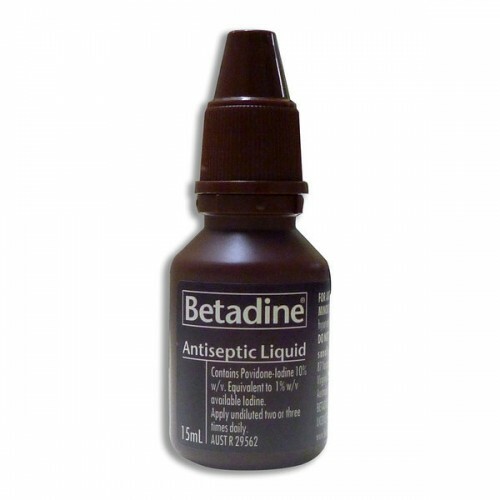 Betadine Antiseptic Liquid essentially is non‐irritating to skin and will not permanently stain skin and natural fabrics. Apply Betadine Antiseptic Liquid undiluted liberally to the injured area using a cotton tipped applicator or cotton wool as desired. Wipe away from the cut and cover the surrounding area. Do not use if hypersensitive to iodine or povidone. If irritation, redness or swelling develops, discontinue treatment and consult a doctor. Not recommended during pregnancy or breastfeeding. Do not mix with detergents or other chemicals. Betadine Antiseptic Ointment Betadine Antiseptic Ointment is recommended for the treatment of c..
Betadine Antiseptic First Aid Cream (20g) Betadine Antiseptic First Aid Cream is recommended for..
Betadine Antiseptic Liquid Hospital 500mlBetadine Antiseptic Liquid rapidly kills all bacteria and ..
Betadine Antiseptic Liquid Spray 75mLBetadine Antiseptic Liquid rapidly kills bacteria and fungi c..
Betadine Cold Sore Ointment 7.5g Betadine Cold Sore Ointment, if applied at the first signs of a..